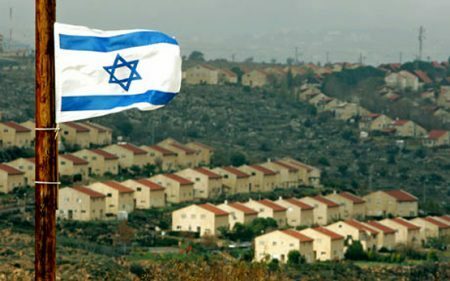 The Israeli Supreme Court Wednesday ruled in favor of the Jewish National Fund (JNF) for ownership of 522 Dunams (129 acres) of Palestinian owned land according to Hebrew language outlets, reported Ma’an News Agency. The Palestinians previously appealed an Israeli Central Court decision handing over the land to the JNF, this week the appeal was rejected, allowing settlers to begin construction in Occupied Palestinian Territories with impunity. The land involved is in the southern Occupied Palestinian Territories south of Bethlehem, surrounding the illegal Gush Etzion settlement, the Jewish National Fund claims it allegedly purchased the land from a Palestinian family in 1944. In 1996, the settlement company ‘Himnota’ through which the land was supposedly obtained, registered as land owner with the Israeli Civil Administration, to which Palestinians responded with a lawsuit against ‘Himnota’. The Jewish National Fund was established in 1901 by Zionists to raise money for Jewish colonies to acquire Palestinian land, as outlined by Palestine News Network (PNN).